What cat can resist the wiggly red ball of light from a laser pointer? The red dot stimulates his natural prey drive and he can’t help himself – he has to chase it! 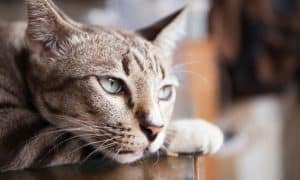 Many experts say that simply chasing a laser pointer can cause potential problems because there’s no way to “win” the game. 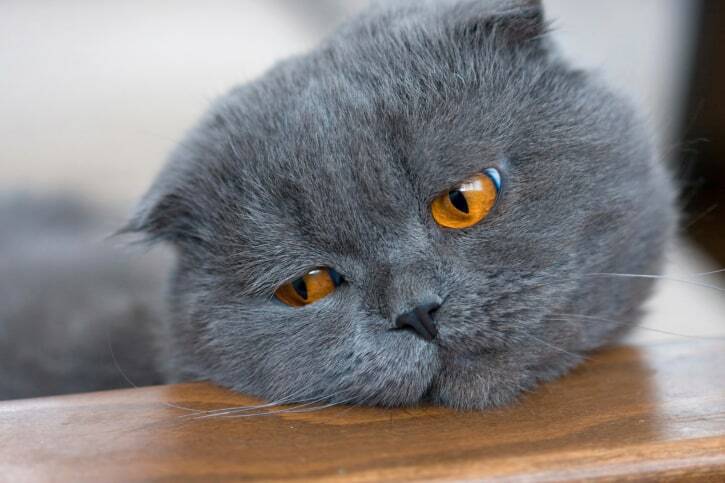 Even if the cat catches the red dot, he hasn’t actually caught anything so it causes stress. The solution? 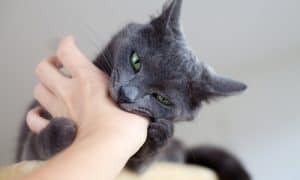 If your cat is totally crazy over the red dot – hide treats around your room and occasionally land the laser light on the treat so when your cat “catches” the red dot – he’ll be rewarded with a treat. 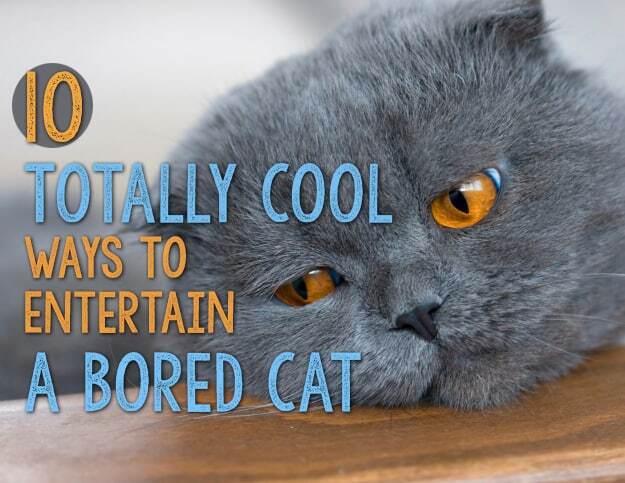 Does your super lazy cat only seem interested in eating? Why not make him work for his food? Get a food ball and put his meal inside it. Your call will have to push, roll and bat the ball around in order to get fed throughout the day. This is also ideal for cats who scarf their food too fast – it forces them to slow down and munch their meal one piece at a time. Or, if you want to work your cat’s brain muscle, try putting some cat food in a treat puzzle, so your kitty will have to solve a brain game in order to get a snack! Treat puzzles are a way to keep your cat’s mind sharp well into his senior years. Another food game that keeps kitties active involves moving their food dishes to different areas of your home each day so they’re never fed in the same place. 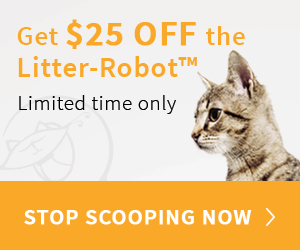 This feeds into your feline friend’s natural prey drive. The “hunt” for their “catch” keeps them entertained! Plant cat grass and catnip in a sunny window. Mount a bird feeder or a squirrel feeder outside the window, and mount a window perch inside. 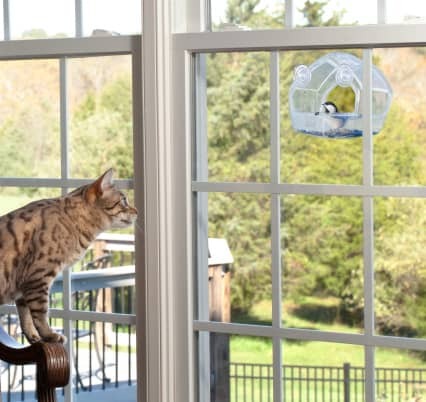 Your cat will be entertained for hours watching his furry and feathered friends. Give your cat some TV-time. Lots of cats enjoy watching specially made cat DVD’sfull of birds, fish, mice and squirrels. You’ll crack up when your cat meows and swats at the television! If you’ve got the space, create a “catio” or cat patio – a secure outdoor kitty enclosure! You can find them pre-made or create your own. Just be sure it’s secure and completely enclosed and safe from predators. Families Who Play Together, Stay Together! Magic Carpet Ride: Drag a blanket or small rug along the floor. You’d be surprised at just how many kitties will hop on board for a ride! Just remember to go slow, so your cat stays on board. Hide and Seek: Yes, many cats love a good game of hide and seek with their human. 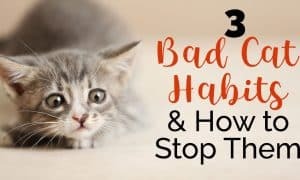 If you’ve got a confident kitty, try hiding around the corner, behind a piece of furniture or a door. 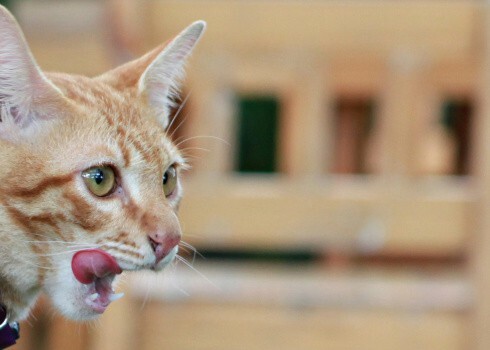 When your cat walks by – jump out at him …and then run off. Often times your cat will make chase! And when he does, hide again and you’ll notice kitty will start to stalk you. Some cats will even take the game a step further and hide for you! 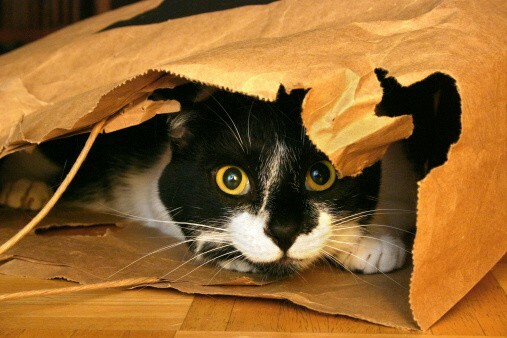 Attack the Bag: Lay an open paper grocery bag on the floor. Inevitably your cat will crawl inside to check it out. What cat can resist a paper bag? Once he’s inside, poke at the bag with your fingers. If he’s feeling frisky, your cat will try to attack the bag! What fun games do you play with your cat? Tell us about it! If you loved this article, pin it!